Motorcycle Accident Attorneys - Silver & Silver, P.A. “I never even saw it!” That’s how negligent drivers too often explain how they injured a motorcycle rider. They simply were not paying attention. This causes thousands of motorcycle accidents and hundreds of deaths in Florida each year. Motorcyclists have the same rights and responsibilities as drivers of other vehicles. When the other drivers don’t respect those rights, accidents happen. Motorcycle accident attorneys specialize in getting full compensation for riders and their families for any losses they suffer as a result. 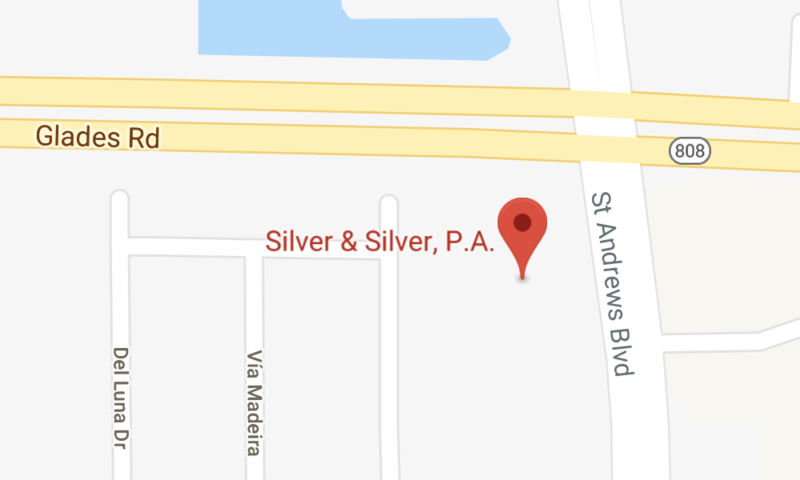 The expert motorcycle accident attorneys at Silver & Silver, P.A. have been getting justice for South Florida injury victims for over 20 years. We work to establish the full extent of your injuries before we’ll look at any settlement offer. Moreover, we seek compensation for all of your current and also your future needs. If your loved one was killed by a negligent driver, we’ll help you pursue a wrongful death claim. We treat every case as if it were going to trial. We’ll bring in accident reconstructionists and other kinds of experts. Furthermore, we ourselves take part in the investigation. We’ll visit the scene of the accident. We make every effort to gather all the evidence. Our Boca Raton motorcycle accident lawyers are successful in trials of these cases. Hence, our courtroom reputation is at the table during settlement talks. Preparation is one of the reasons why. Reach out to us today to discuss your accident. Call our main office in Boca Raton at 561-235-3219 to schedule a free initial consultation. We also do consultations in Boynton Beach and Wellington. Call as soon as possible after an injury. The earlier you involve us, the better. All personal injury cases are accepted on a contingency fee basis. You won’t pay attorney fees unless we get compensation for you.